A health blog about acne and all its frequent health problems. It is also includes the treatment, tips and tricks on how to solve that problems. Enjoy! Aloe vera is a medicinal plant that has many medicinal and cosmetic benefits. This plant is effective enough to reduce inflammation and soothe the skin. This plant is widely sold because of its benefits for topical solutions to some skin problems. Acne, sunburn, and rashes are some of the health skin problems that this plant can overcome. The content of 18 amine acids helps in the treatment process. We will explain 3 facial skin problems in many of the problems. Please see briefly, who knows you or your relatives experience it. Does aloe vera gel help sunburn redness? Sunlight can damage facial skin. It makes you look old and can even trigger skin cancer. Direct sunbathing under ultraviolet light can cause skin irritation, inflammation, and even swelling. (You must determine the right time to bask in the sun). Aloe vera gel will make your skin cool, forming a protective layer that keeps the skin moist. Your facial skin will avoid dehydration so that it speeds up the healing process. Does aloe vera gel reduce acne and scars? 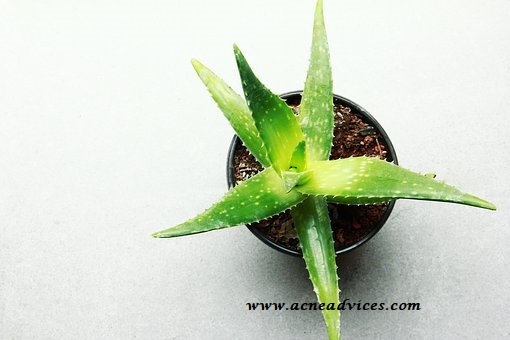 Aloe vera gel can fight infection. Therefore it is often used to fight acne, pimples, sores, and acne scars. This gel can stimulate the growth of new skin cells and reduce scarring on scars. This gel also improves damaged skin color by acne. Aloe vera gel is also able to cleanse the skin because it contains antibiotics, pain blockers, astringents, and coagulating agents. Does aloe vera gel help to prevent and reduce wrinkles? Aloe vera gel is believed to help to reduce the appearance of facial wrinkles. This gel will increase skin elasticity so that wrinkles do not appear or do not develop. You need to know that aloe vera gel also has antioxidant content. It can prevent skin damage because of free radicals from sunlight and the outside environment. Free radicals play a role in the process of aging and facial wrinkles. The more prevention of free radical activity is carried out, the slower the aging process runs. Once you know the benefits, of course you want to know how to use it. The use of aloe vera gel is not careless, especially the factory-made gel. You must know the stages such as preparation, exfoliation, aplication, and cleaning. For more details, please read on How to apply aloe vera gel on your face. Nah, that was an explanation about benefits of aloe vera gel for the face. Actually, aloe vera has many benefits, not only in the face. Are you curious about the benefits of aloe vera besides the face? Please read more at Aloe vera for skin care and health benefits. 0 Response to "Benefits of Aloe Vera for Your Face"
Click this red subscribe text SUBSCRIBE before make a comment. Health site. All rights reserved. Powered by Blogger.